It's cold. Really cold right now. I've been snuggling up in hoodies and jumpers, while trying to still remain even slightly stylish. 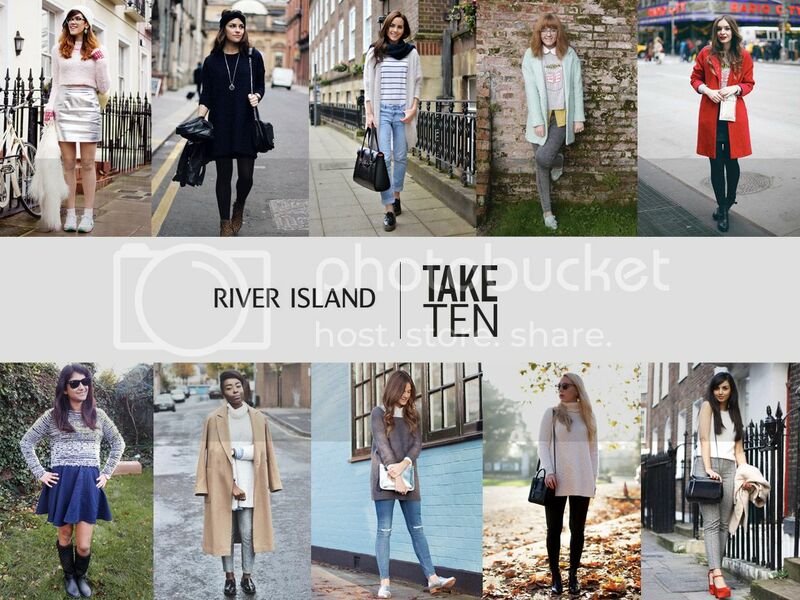 This Take 10 is sponsored by River Island and we were able to try out some of their really cute knitwear. I do find it difficult to remain stylish and warm, but River Island have made it easier. This jumper is the cutest piece ever. It's so fluffy and warm, and makes me want to just huddle up and relax. Ah, this look is just too fabulous! I love those quilted boots! There are no words to describe how much I love EVERYTHING about this look - I need those boots in my life! Such a cute look, head to toe!